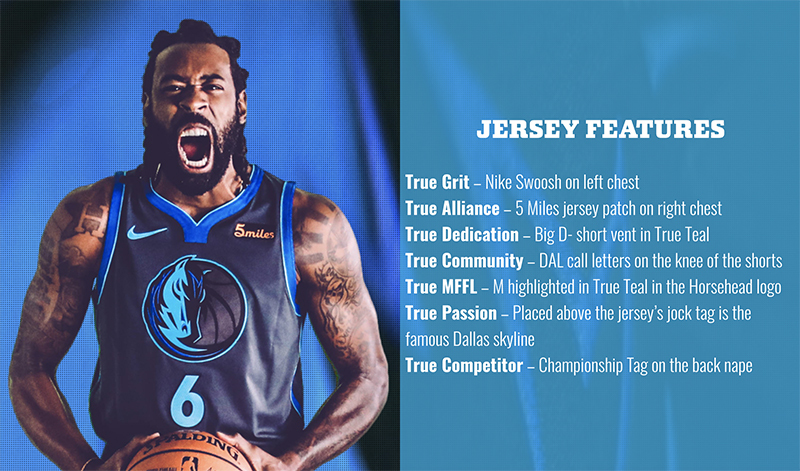 The City Edition jersey is a limited edition, single-season jersey that embodies the pride of not only the Dallas Mavericks, but the City of Dallas. City Edition was created to reach a fan base beyond the Mavs ride or die basketball fans: to build a stronger network of MFFL’s, create buzz among younger generations, and to play with colors and elements outside our brand story. Intended to be in the city and of the city, a change in perception, a true “Maverick” in design and style. The jersey has a different design each season and takes 2 years to develop with Nike + NBA. This jersey represents a rebirth of a younger generation of key players on our roster. A rebirth of the City of Dallas. A rebirth of old and new fans. The Dallas Mavericks celebrated the launch of the new 2018-2019 City Edition jersey inspired by TRUE MAVERICKS at a Launch Party at Canton Hall featuring American hip-hop artist, and True Maverick himself, Big Sean. See photos from the awesome event on Mavs.com!